September sees Romans returning from their summer holidays and kids heading back to school. So as the Italian summer heat begins to subside, the city of Rome slowly begins to buzz with things to do. While Rome's cultural calendar is not packed at this time of year, there are a few interesting events and festivals taking place in September. Widescreen movies are shown outdoors during Isola Del Cinema on Tiberina Island almost every night in the summer. At this celebration of Italian cinema, you can watch films made by both legendary and emerging filmmakers. This is part of Estate Romana, or Roman summer, which also includes concerts, theater, and other cultural events. If you're in Rome at the very beginning of September, you can catch the last few days of Lungo Il Tevere, which runs from early June through early September. It's a sort of street fair of art vendors, pop-up restaurants and bars, live music, and games along the banks of the Tiber River, or Tevere. 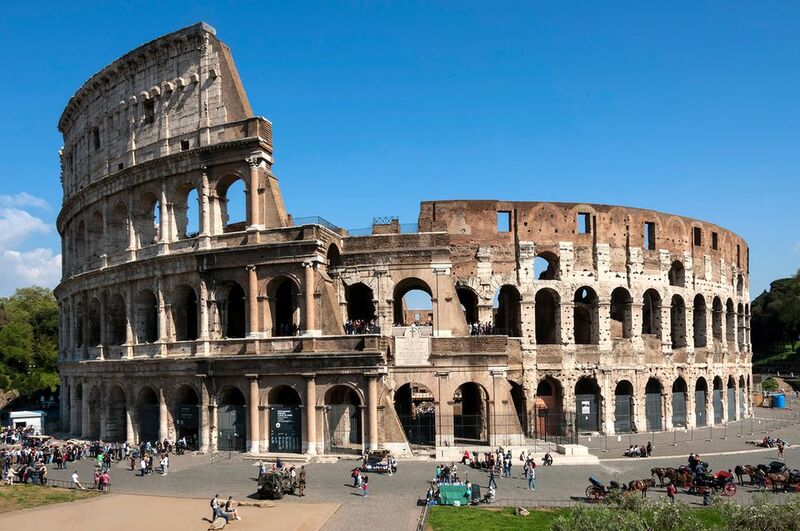 Europeans love their soccer, and Romans get a double dose. Their home has two soccer ("calcio" in Italian) teams: AS Roma (crimson and gold) and SS Lazio (baby blue and white). Although these teams are bitter rivals, they do share a soccer stadium, the 70,000-seat Stadio Olimpico, which is one of the world's most famous sports venues. If not sold out, tickets for games, which typically occur on Sundays, can be purchased online, over the phone, at the stadium, or at the teams' official stores throughout the city. All but the most diehard fans should avoid the Curva Nord and Curva Sud sections of the stadium—the realm of "ultra" fans, these areas can get frighteningly rowdy, and are definitely not suited to children. For LGBTQ residents, visitors, and their allies, Rome's Gay Village is a celebratory street fair running from late May to early September in the Testaccio neighborhood. Music, dancing, as well as food and drinks booths all contribute to the festive atmosphere. On or close to September 1, Gay Village usually hosts the Imperium Festival with DJs, dancing, and drinking. Several arts and crafts fairs take place in Rome in September. There is an art fair along the street of Via Margutta, an area known for its collection of hip and high-art studios. It was also home to film director Federico Fellini and is where parts of Roman Holiday were filmed. Usually the last week of September, there is another crafts fair in Via dell'Orso near Piazza Navona. Beginning in late September, the RomaEuropa Festival features cutting-edge local and international performances of dance, theatre, music, and film, as well as visual arts installations at venues across the city. In 2018, it will be held from September 19 through November 25. The four-day Taste of Roma festival is a foodie's paradise that happens the third weekend of September. You can sample food from some of Rome's top chefs and take Italian cooking courses. More than 28,000 people attend the event, which is held on the grounds of the Auditorium Parco della Musica, in Rome's Flaminio neighborhood.